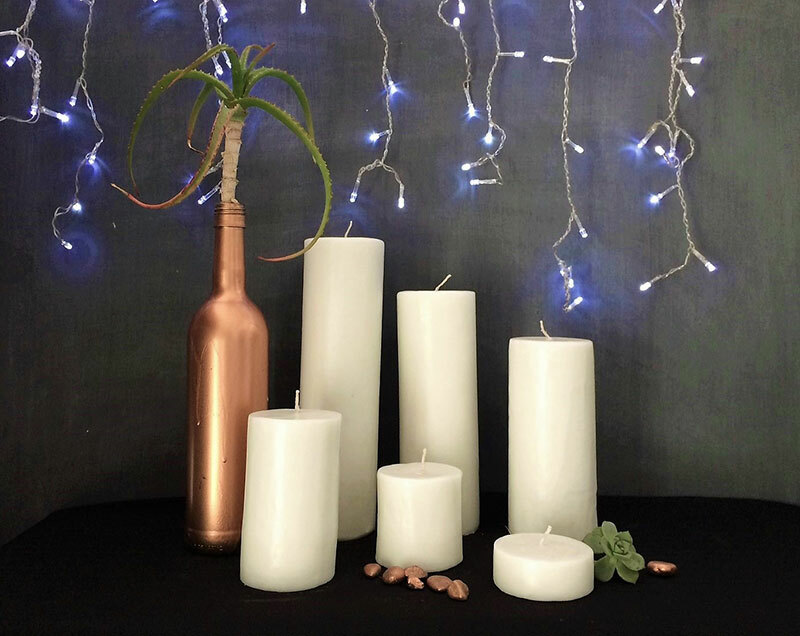 Our ever popular pillar candles come in various heights, and are of two diameters; 7.5cm and 11cm. Use them alone or in clusters for added charm. 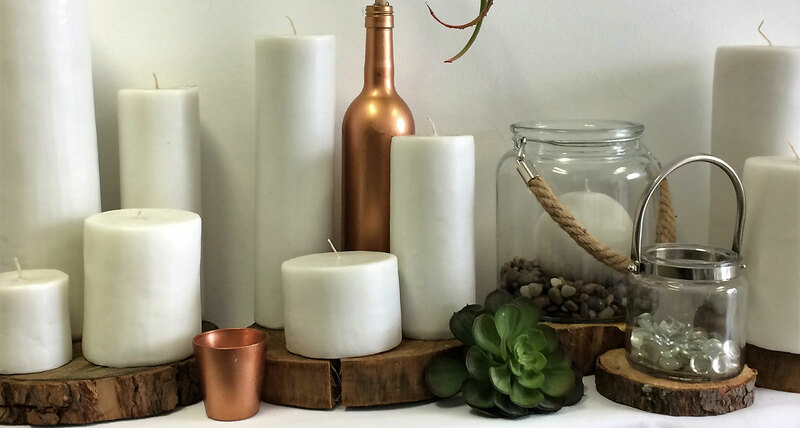 Surround with greenery or flowers or see our glass cylinders and candle stands.